Carole Brungar is a quilter, textile artist and novelist who is tutoring at the Christchurch Quilt Symposium in October. 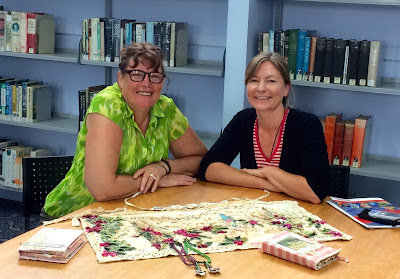 Lucky for me, Carole was travelling up my way when I contacted her for an interview so I got to examine (and stroke!) her class samples in person. Carole uses papers, thread, fabric, beads, lace, free-motion stitching, hand embroidery, inks, dyes and just about anything she can lay her hands on to make soft, approachable, beautiful mixed media art. 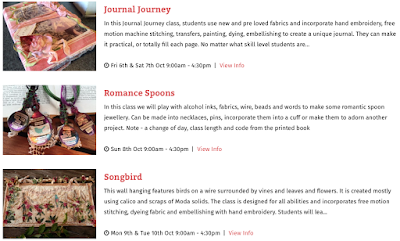 Carole will be teaching three classes at Symposium - making a journal, a beautiful free-motion stitched and collaged wall-hanging, and an embellishment class called Romance Spoons. We talk about how Carole's anxiety over perfect points led her to become a textile artist who occasionally bans scissors from her classroom. I learn about how she came to be using spoons as an art medium and we also discuss her new novel that comes out May. I had lots of fun talking to Carole, I hope you enjoy listening! And, if you do, please share the podcast with a friend. I recently posted about testing some old fibre reactive dyes on cotton fabric. 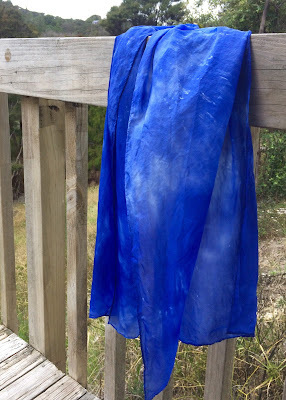 The results were dismal, but instead of throwing the dye out, I decided to test something I had read somewhere about using old fibre reactive dyes with vinegar (turning them into acid dyes) and using them on silk. Before and after rinsing photographs when the dye was used on cotton. I have never used acid dyes on silk before so I had to look around for information on how to go about it. The companies that sell dyes have pretty good information on their websites and if you google your question you'll come up with lots of opinions. The general consensus seemed to be that acid dyes need heat to work. So I soaked my silk scarf in vinegar (apple cider just because it was what I had around, but I'd probably recommend just using white vinegar!) I squeezed it out and poured on the dye solution, which I'd previously made up to my normal strength recipe with water. Then I put the whole container in the microwave, loosely covered to avoid splashes and buzzed it on high for three minutes until it was boiling, let it rest for a few minutes and then buzzed it again for another two minutes. I let it sit for a couple of hours and then began to rinse it. This photograph is after several days of rinsing, soaking overnight and rinsing again. The water was still not clear after the last night of soaking but it was a lot better than it had been (and I'd lost patience by then). The colour is deep and vibrant. the resulting colour does not appear to be as colourfast as fibre reactive dyes used with soda ash on silk (I use that combination on silk frequently with great results). Now, I have only conducted one experiment on this so I'm no great expert. I think I need to conduct some further trials with some of the other old dyes that I've been given, particularly trialling different colours as they can behave quite differently. 2017 sees the biennial New Zealand National Symposium happening October 5 - 10th in Christchurch. 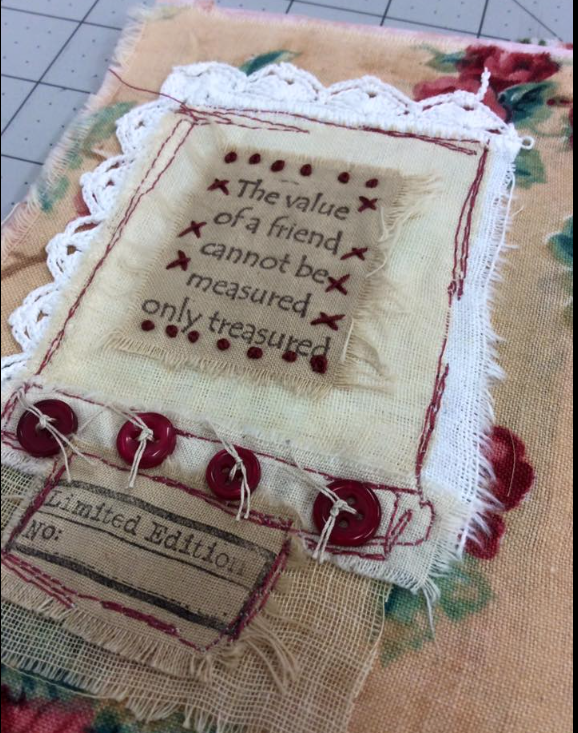 I'm using that as a theme for my quilting podcast and inviting as many of the tutors onto my show as possible. 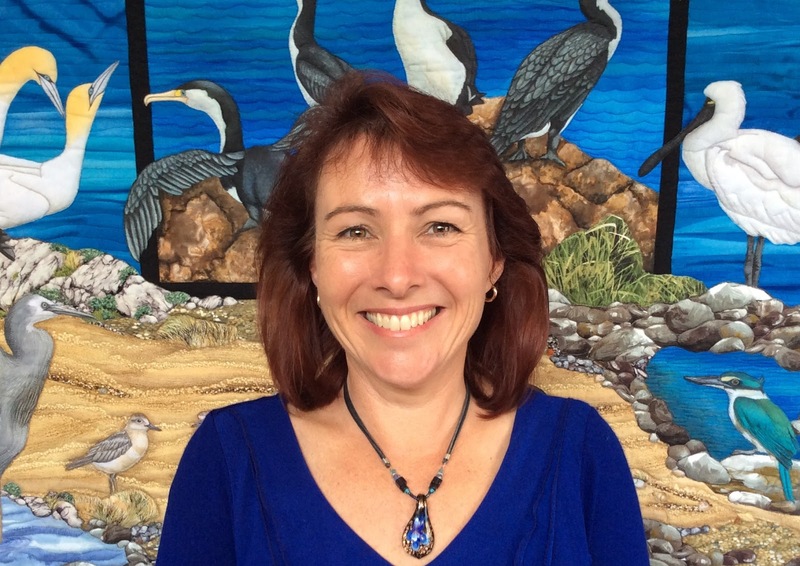 This week my guest in Sonya Prchal, a talented textile artist from Whangarei. 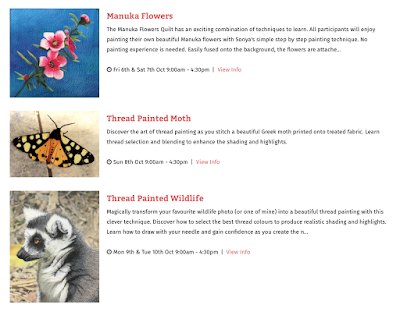 Sonya works with paint, photographs, thread painting and sometimes appliqué to achieve fantastic realism in her work. 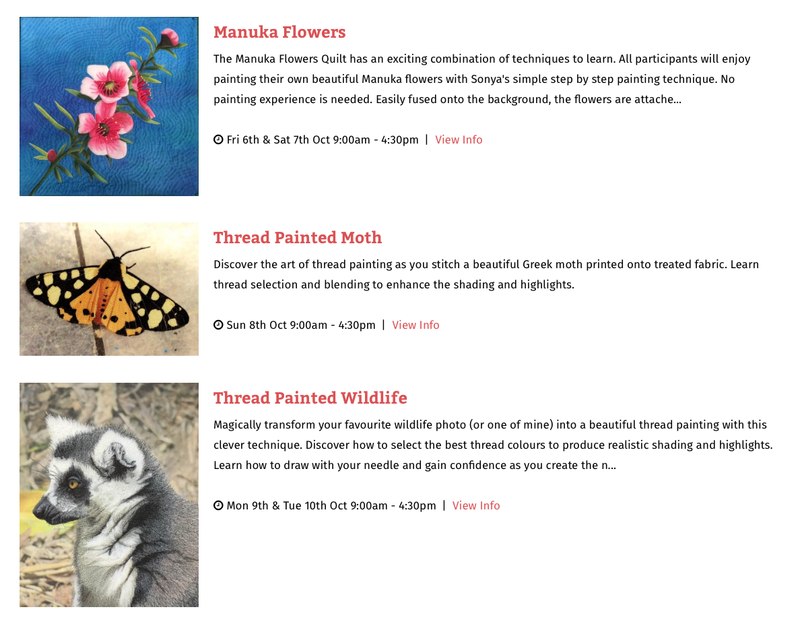 Sonya is offering three classes at Symposium: Manuka Flowers, Thread Painted Moth and Thread Painted Wildlife. In the interview you'll hear about how her father's love of nature inspires Sonya to find beauty in the details. 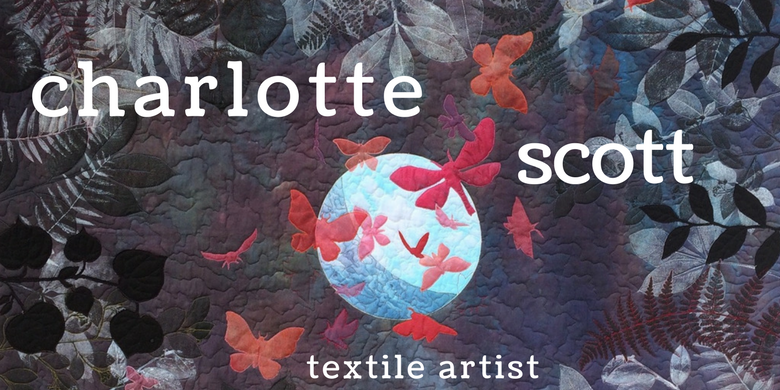 Get more information about how she works, her favourite, can't-live-without sewing tool and hear about her upcoming solo exhibition. 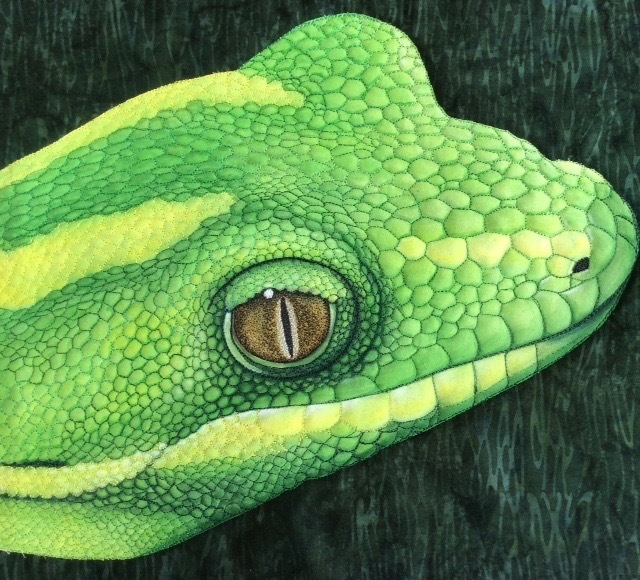 Above is Sonya's Green Gecko quilt, a stunning example of her attention to detail and beautiful quilting. Thanks for chatting to me Sonya, it was lovely to get to know you better! Why it pays to test your dyes. 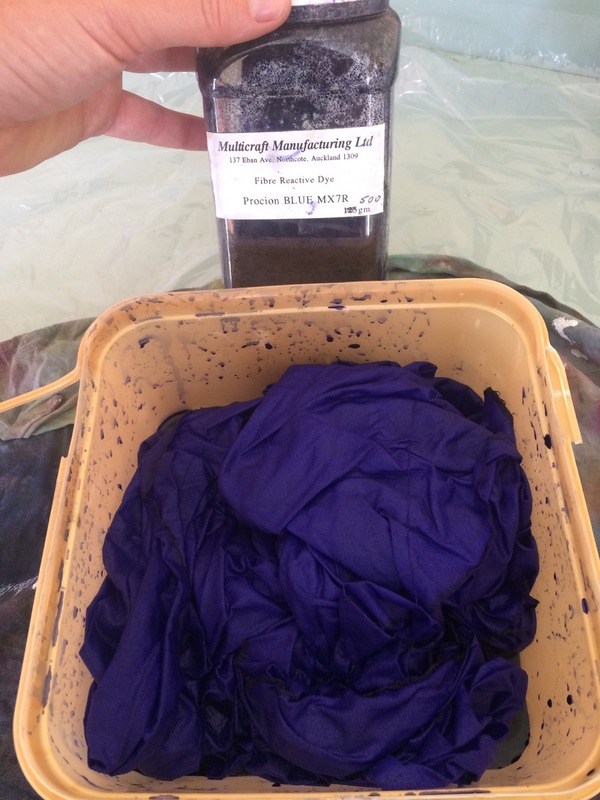 I received some old procion fabric dyes from a textile artist who longer needed them. Unsure of their age or how they've been stored, I'm using them hesitantly and if it's for something important, I'm testing them first. Here is a really good example why. 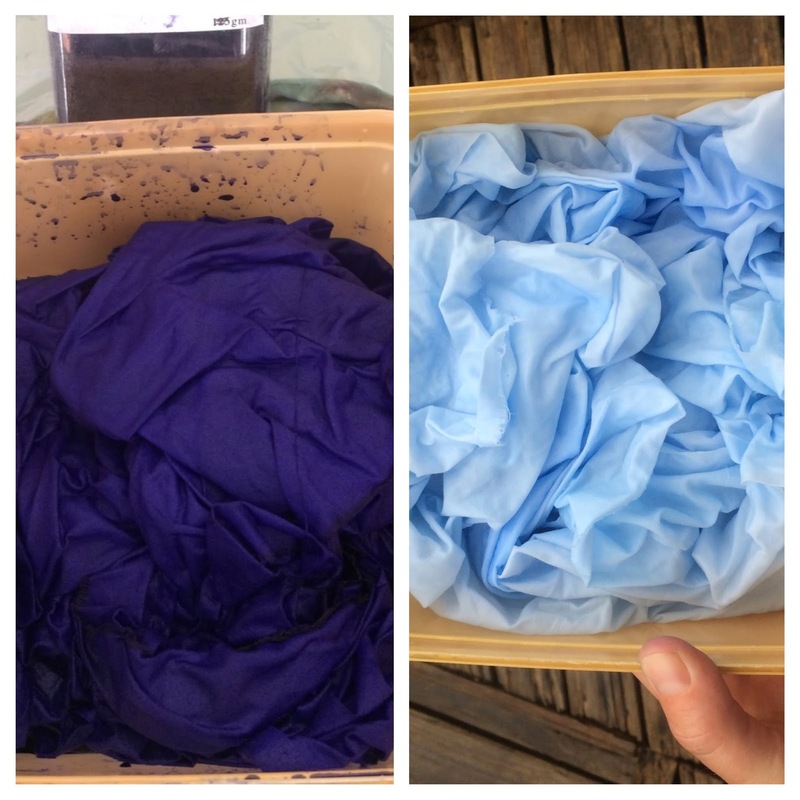 The top photo is the dye solution squeezed through the fabric. I left it to batch for over 24 hours and then took the bottom photo after it was rinsed. You always get some washout and lightening but the amount that I got is nowhere near acceptable and shows me that this particular dye has well and truly lost its potency. I searched for Multicraft Manufacturing Ltd online and I found that it was dissolved as a company in 2009, so that gives me a hint as to just how old that dye might be! 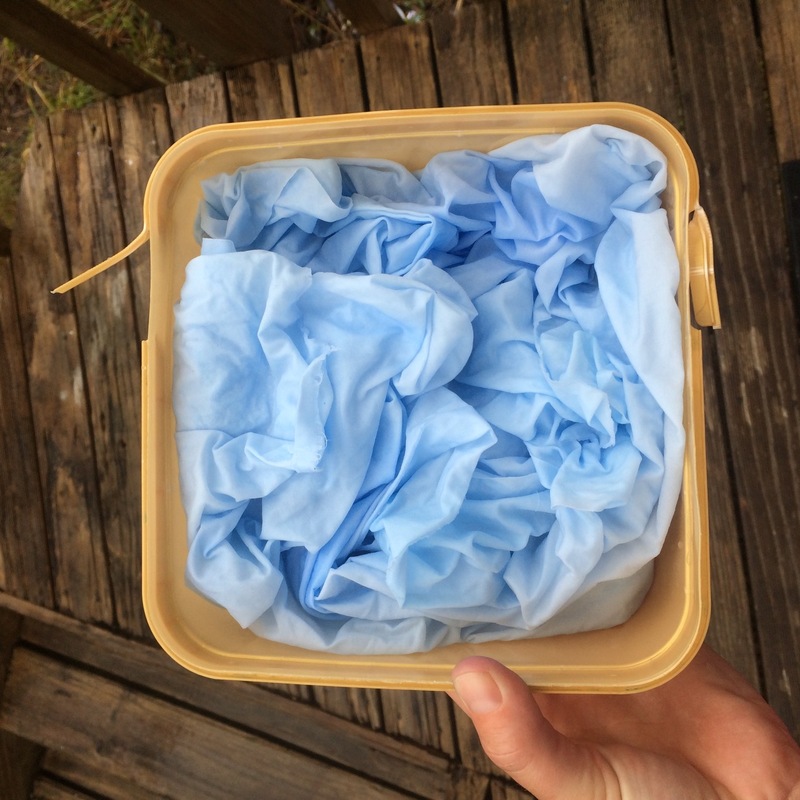 The reason I was testing this particular dye was because I had been mucking about doing random serendipitous work with the gifted dyes and noticed that none of my pieces had turned out as blue as I expected after the rinse. However, I also had a few pieces of silk organza in the mix and they are quite blue. I've read somewhere that you can use old procion dyes on silk with vinegar (protein fibres work best with acid as a fixative whereas cellulose fibres need a base) and get good results. So before I biff this jar of dye powder I'm going to run one more test on silk with vinegar.